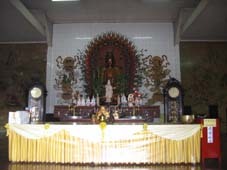 Binjai is right at the outskirts of Medan on the way to Bohorok and Bukit Lawang. 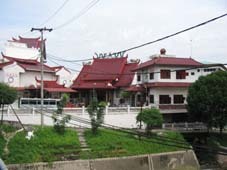 There is not much of interest for tourists in Binjai but can be a good location to travel to from Bukit Lawang to catch up on internet, international phone calls and banking. 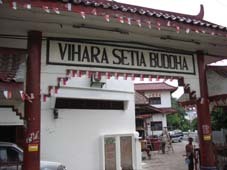 If you are in Binjai you may wish to visit the Vihara Setia Buddha centre located on the main road through Binjai.